Food cruises in the Gothenburg archipelago. Buffet tour, salmon and schrimp cruise, lunch cruise. 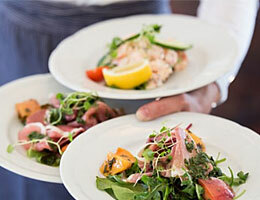 We recommend a trip in the Gothenburg archipelago while enjoying good food. How about a scrimp and salmon cruise, brunch buffet or lunch. The tours start at the beginning of April and the last tour departs at the end of October. 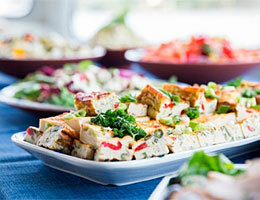 We present food cruises in cooperation with Strömma. Go on a lunch cruise (herring buffet) in Gothenburg archipelago. You go from Lilla Bommen out past Älvsborg Fortress and then steers the boat to Gothenburg archipelago. Want to switch herring buffe the some other food - thats no problem! The tour is guided. 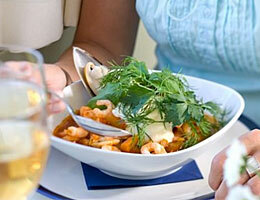 Do not miss a lunch out in the Gothenburg archipelago. The ticket includes boat trip and buffet. Book a scrimp and salmon cruise and enjoy a lovely tour in Gothenburg Archipelago. Tickets Archipelago tour to Marstrand with buffe! 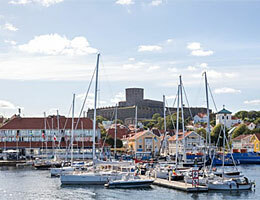 Go on a full day cruise to Marstrand. You make a stop at Källö-Knippla of about (30 mins) which includes a guided walk. When you arrive at Marstrand you will also go on a guided tour. 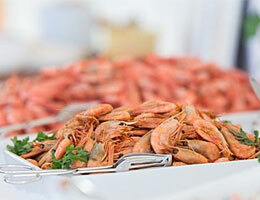 At the rut, you can enjoy a Swedish fika/coffe buffe and back to Gothenburg you will enjoy a west coast buffet of seafood. This ticket includes boat ride, guided hikes, snack buffet, and the west coast buffet. Enjoy a delicious brunch onboard M/S Carl Michael Bellman on Saturdays or Sundays between April - October. You are travelling in the Gothenburg archipelago on a three hour brunch cruise. The brunch s cooked on board and you can choose from salmon, herring, meatballs, salads, cheese platter and do not miss the dessert table. You look through the large panoramic windows of the ground floor and do you want to go out - go up on the sun deck and enjoy the view. Ticket includes boat trip and buffet. Take a guided tour around Hisingen on this 4 hour tour. Order something to eat from the a la carte menu. All food is prepared on board. The tour takes you out of the Nordre River water on to Björkö Fjord and back to the port of Gothenburg. Ticket includes boat trip, guide and a reservation in the dining room. We reserve the right for any typographical errors or changes in the content and prices. 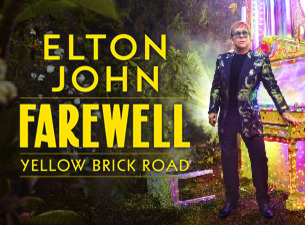 Images: from Stromma website.